Forum Report from Athens, Georgia, April 9, 2017 - "Making Ends Meet: How Should We Spread Prosperity and Improve Opportunity?" This report from Margaret Holt and Diane Monaghan Sanders summarizes outcomes from a deliberative forum that was held at a library in Athens, Georgia on April 9, 2017. 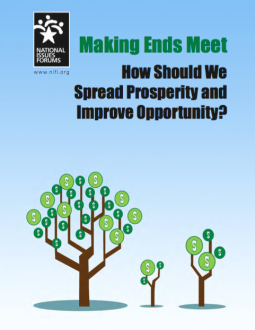 The forum participants used the National Issues Forums issue guide titled, Making Ends Meet: How Should We Spread Prosperity and Improve Opportunity?